Custom metal keyrings and metal keychains make an impression with their quality, substance, and durability. Where products of more common kinds might fail to attract notice, our engraved keyrings naturally garner attention with their heft, luxuriousness, and undeniable quality. We can bespoke mould a custom keychain to suit your branding or special requirements. Nobody can beat our turnaround time, quality or pricing so give us a try today! Simply browse our in stock shapes below or check out our bespoke and complete the form to the right for a fast written quote, right to your inbox in minutes. 6mm carabiner. Metal split key ring. Made to order and to your exact specifications, our metal keyrings and stainless steel keychains are perfect for a wide range of businesses and purposes, From sending new vehicle owners away with high-quality personalised gifts they'll remember, to massive giveaways to celebrate the launch of a new product, these key rings impress recipients and hold up through many years of regular use. Die Struck: Sometimes called hand stamped, die struck keyrings are first formed from solid, strong pieces of metal and then stamped with whatever logo or other customisation you prefer, producing permanent, especially attractive branding. For added effect, the stamped area can be filled with ink for greater contrast, visual interest, and colour. Custom Moulding: Moulded metal key chains can be customised even with regard to shape, allowing for still more personalisation and uniqueness. Coupled with the inherent appeal of solid, attractive metal, this can make for especially distinctive key rings. Photo-Chemical Etching: Etched metal has a special draw of its own, and our photo-etched key rings often stand out as some of the most beautiful and striking of all. Laser Etching: Lasers can be used to etch fine, permanent details with impeccable precision, allowing for even the most complex logos and other images to inscribed. Epoxy-Protected Photographic Imagery: We can bind full-colour photographic imagery to metal and apply a crystal-clear layer of epoxy that keeps everything looking great for years. And Others: We are always seeking exciting new options for our customers. Contact us for a free quote and to learn about the latest additions to our catalogue. A range of available finishes make it easy to mesh with the character of your brand, your audience, and your goals. Shiny key rings stand out with a polished, light-reflecting look. A Misty finish adds a subdued, refined feel to a key ring of any kind. Antique key rings have an aged, appealing look that only improves with time. And More. With many more options to choose from, picking the perfect finish for your own metal key ring will never be out of reach. These finishes and others can be selected in hues like gold, silver, black, nickel, or zinc, making for dozens of appealing options. Tourism industry and travel agents. Retail stores, clothing and accessories. Literally any business could give our key chains with their information presented. They serve as a reminder and will definitely help bring clients back to your shop. If you are running a loyalty program then It isn’t easy to keep track of who’s in your inner circle, and this is even harder if you run a business that has hundreds of people in the VIP special offers or rewards club. 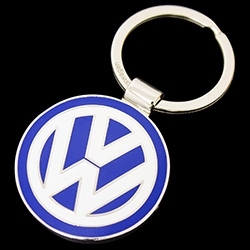 A simple keyring presented at the time of purchase can garner people with a discount, or a free item during purchase. This is often in the form of plastic membership tags however a metal keyring can be used in more premium or corporate style groups. Leveraging the permanence and substance of metal doesn't need to mean waiting around, either. We can deliver fully customised metal keychains in as few as ten days on rush orders, with even standard projects arriving quickly. Our industry-leading price beat guarantee and free design services ensure that every order will be cost-effective and affordable, as well. With minimum order quantities as low as 100 units, our custom metal key rings make for unforgettable gifts, promotional items, awards, or special incentives. Contact us now for a free, no obligation quote regarding your own goals and options. We offer a 100% free artwork and design service, we mock a virtual preview of your products up and our sales team email you for a final approval prior to product. On larger orders we can offer free shipping and certain products are even available on a 5-7 day rush turnaround. Considering we have to mould your key rings, brand with your chosen decoration method and then organise couriers to deliver to your door. 5-7 days is extremely fast compared to our competitors. Take up our offer of a free virtual sample and a no obligation quote using our quick quote form to the right, our team will respond within minutes. Or if you prefer, give us a call and chat about your requirements our team will be more than happy to recommend some options for your next promotion.